This prize recognizes the best PhD thesis in probability or statistics defended at a Canadian university in a given year. Andy Leung is the winner of the 2017 Pierre Robillard Award of the Statistical Society of Canada. Andy’s thesis, entitled “Robust Estimation and Inference under Cellwise and Casewise Contamination”, was written while he was a doctoral student at the University of British Columbia working under the supervision of Ruben Zamar. Andy’s research filled an important gap in the development of new robustness models and tools to deal with outliers in highly multivariate data. When the number of variables becomes very large relative to the sample size, the classical robustness model becomes unrealistic, unappealing and rather unsatisfactory. Andy’s work addresses the limitations of the classical model and proposes a new generation of estimators which are robust against a wider spectrum of data contamination. Andy grew up in the Vancouver area. He received his BSc degree in Mathematics and Statistics at the University of British Columbia in 2011. He stayed on to do his MSc in Statistics, but very soon transferred to the PhD program. During his graduate studies he also worked as a data analyst for the Ovarian Cancer in Alberta and British Columbia (OVAL-BC) study at the BC Cancer Agency. 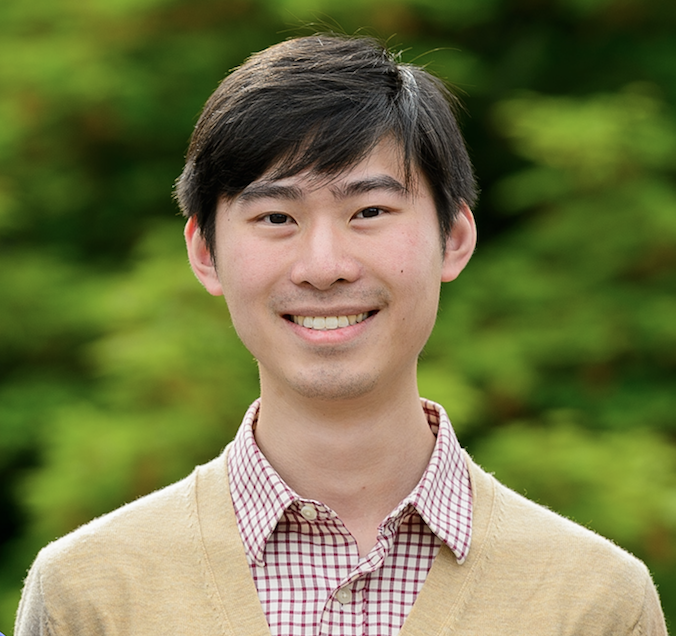 In the last year of his doctoral studies, Andy joined Ecoation, a Vancouver-based AgTech startup company, where he now works as the lead data scientist. Andy Leung will present an overview of his work in a special session at this year’s SSC Annual Meeting at the University of Manitoba. "To Andy Leung, for the thesis entitled “Robust Estimation and Inference under Cellwise and Casewise Contamination”. Thanks to Ruben Zamar, who was primarily responsible for producing this material.